We are proud to announce that one of our managing partners, Revecka Jallad, has been offered and accepted into the Forbes Agency Council. 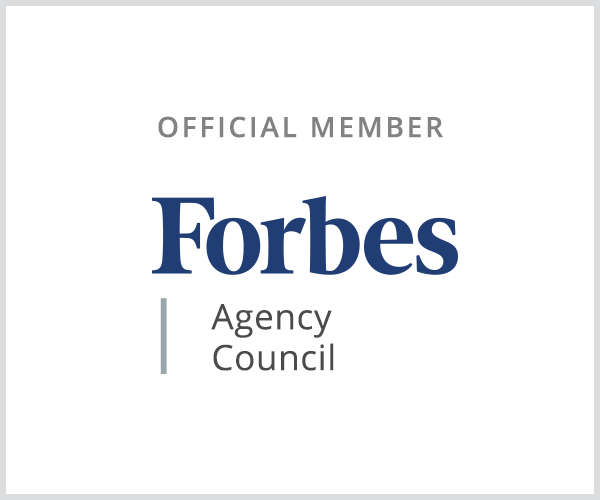 The Forbes Agency Council is an invitation-only organization for executives in successful public relations, media strategy, creative, and advertising agencies. Revecka Jallad joins other Forbes Agency Council members, who are hand-selected, to become part of a curated network of successful peers and get access to a variety of exclusive benefits and resources, including the opportunity to submit thought leadership articles and short tips on industry-related topics for publishing on Forbes.com. Invitations to join the council are only extended to individuals that meet Forbes’ highest professional standards. Qualified candidates must work with (or have founded) an organization with a minimum of $1 million annual revenue and/or $1 million in financing. The Forbes Agency Council also looks for executives whose success in a given industry has been recognized publicly. A candidate must also be involved in the community/community outreach in the area of financial literacy, entrepreneurial educations, technology education, or workforce readiness. Forbes CEO, Mike Perlis explains that the people involved with creating the Council realized that they had the chance to bring together professionals from different industries to share their unique expertise. “The team behind Forbes Agency Council has a deep understanding of high-touch and highly personalized community management and is uniquely positioned to support the types of individuals who are accepted for membership” Perlis says.